Girls in yellow are noticeable easily in the crowd. 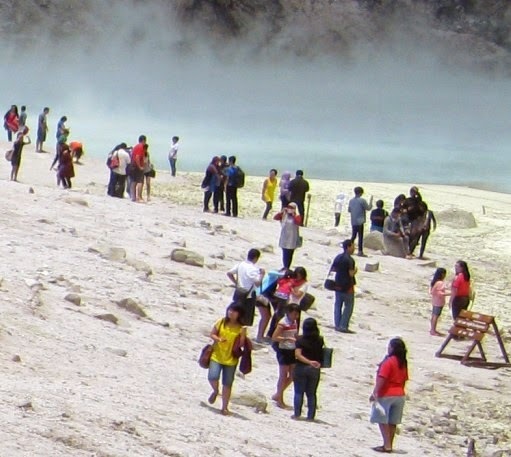 The pic was taken at the Ciwidey White Crater (50 km south of Bandung, West Java, Indonesia). Certainly a lot of fun !